I have been working at Freedom Project for 3 months. What a splendid place to learn and what a gift to see so many wonderful individuals engaged by this work. 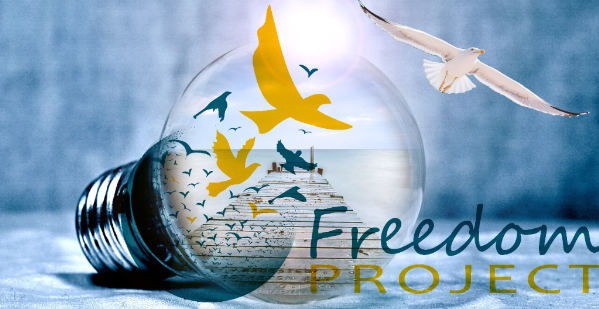 Recently the Board of Directors in their great wisdom to both honor and receive the gifts of generous qualified friends of Freedom Project has added a Council of Advisors to Freedom Project’s roster. Our beloved Frances Howard is chairing this new council. We will be inviting old and new friends to apply to the Council of Advisors. This group will be consultative to Board and/or staff of Freedom Project. We see these generous folk helping with special projects, providing their wisdom or skill set for a measured amount of time. We see this group offering their professional expertise, commitment, time, networking, knowledge, introductions, etc. The term on the Council of Advisors is renewable. Does this pique your curiosity? Contact Fran Howard through Freedom Project office. We are so fortunate that this type of giftedness abounds!